Home » News » Why You Need EV Car controller Cable? Why You Need EV Car controller Cable? Electric cars are becoming more and more popular, and the number of green licenses on the streets is increasing. Do you understand the future direction of the automotive industry? New energy is really just not about playing. Some time ago, there was a forum summit "Cable New Wind Direction - Electric Vehicle Charging Pile Cable Quality Safety Forum", which conducted an in-depth analysis of the global electric vehicle market and the charging pile cable export market situation. Some companies mentioned that "the production and sales of EV Car controller Cable are currently underway, but customers are not very good at finding them. 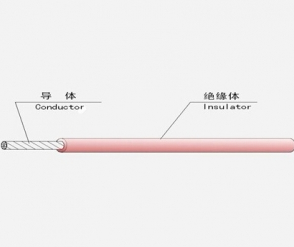 The market capacity of electric vehicle cables seems to be relatively small." For the worries of enterprises, the electric vehicle charging pile cable market still does. It is in its infancy, but it has great potential for development. Global new energy vehicles were compared with sales in 2016, with sales of 774,384 units in 2016 and 1,224,103 units in 2017, and sales in the global market increased by 58% in 2017. Sanew is a leader of Insulation Automobile Wire Supplier, please contact us as soon as possible and we will give you professional answer.